Summer food means quick and easy meal prep with fresh Irish ingredients that are easy to find. This is a light and healthy dish that incorporates the much loved Irish steak – with a bit of an oriental twist. 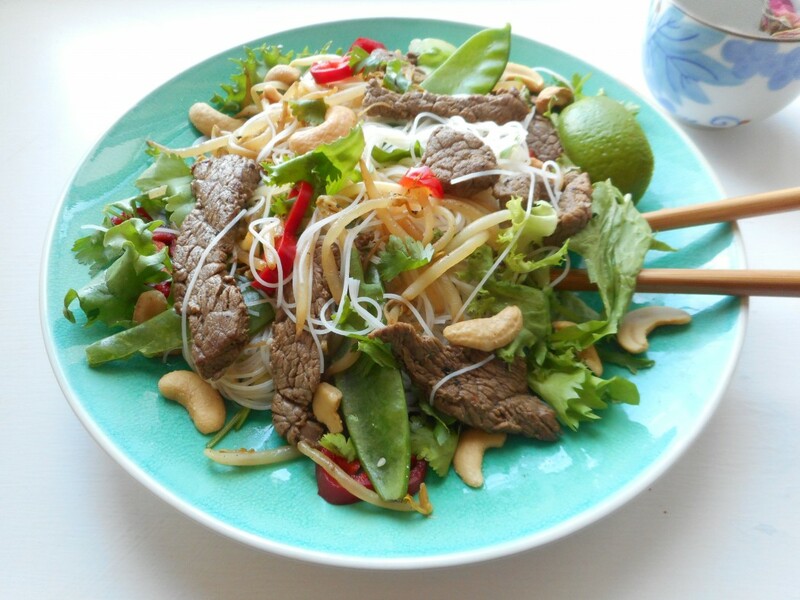 Beef Noodle Salad is a delicious way to kick start your summer dining and it’s also a fantastic fakeaway! 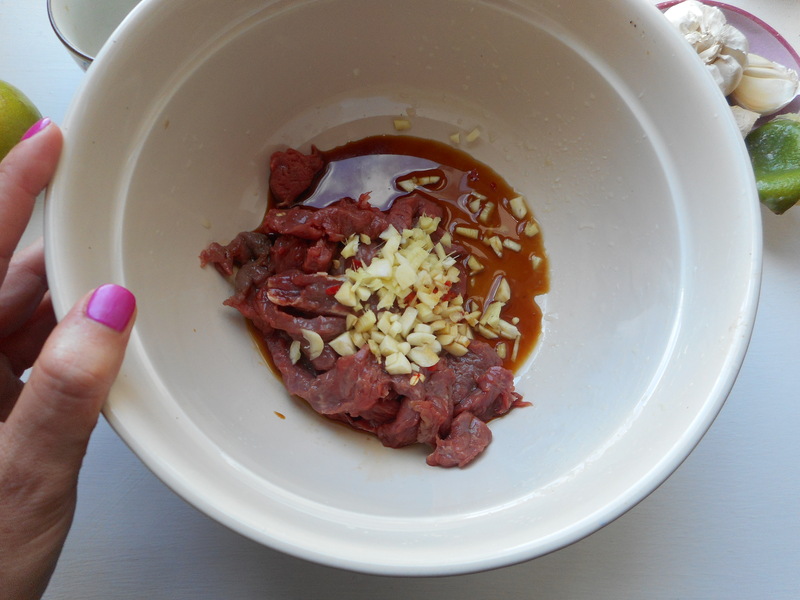 Cut the steak into a thin strips and place them into a bowl. Finely chop up the ginger, garlic and chilli and throw them on top of the steak strips. Next add the soy sauce, fish sauce, the juice from the ¼ piece of lime, sugar and the oil. 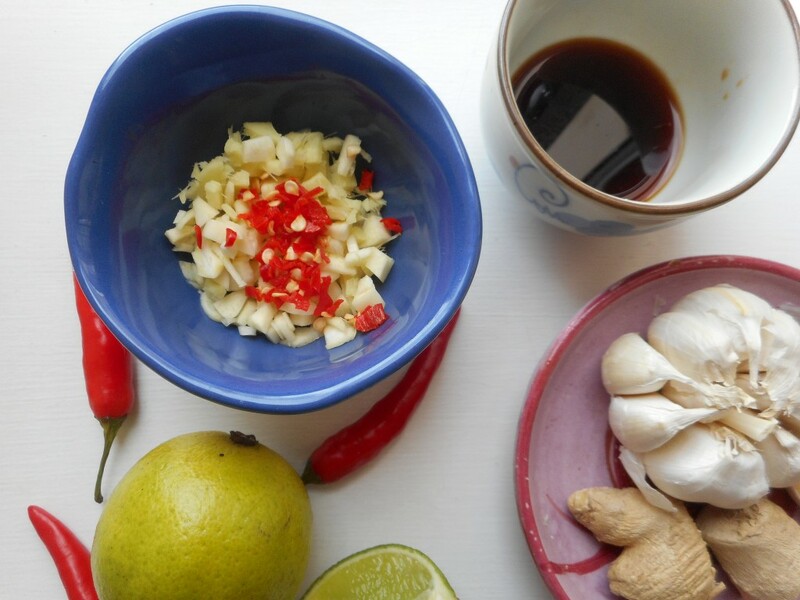 Mix everything together with your hands or a spoon. You can opt to this step the day before if you like – just cover with cling film and place in the fridge. Prepare the rice vermicelli by pouring water over it and allowing it to sit for 3 minutes while you cook the beef. 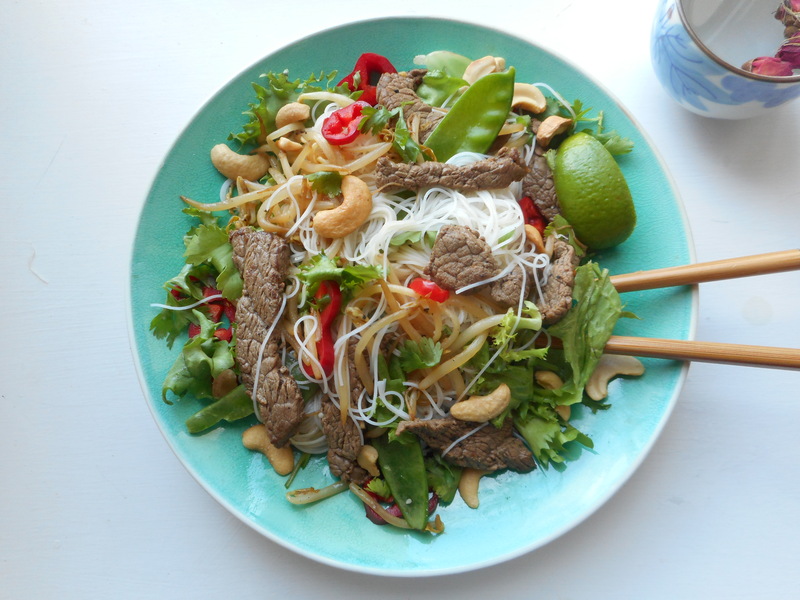 Heat a wok or large frying pan and add the beef strips, bean sprouts and cashews and fry off for about 3 minutes. 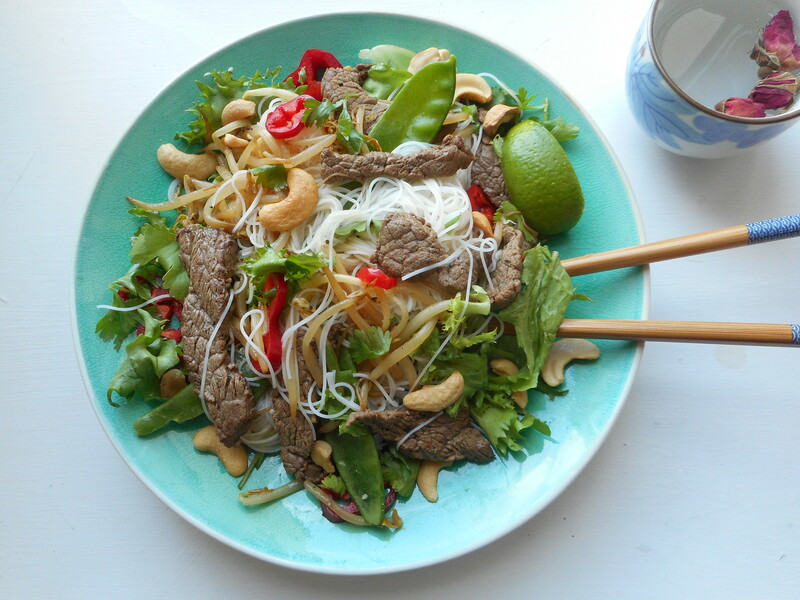 Prepare your dishes with some salad leaves, top with the drained noodles and beef mixture. 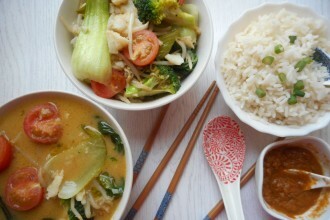 Then add some red pepper, mangetout and fresh coriander to each plate or bowl. Toss everything together and serve with a lime wedge.